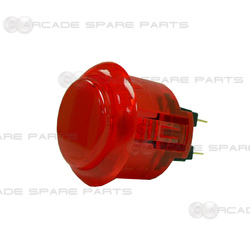 This clear red sanwa OBSC-24 snap-in button is another quality arcade part from one of the best arcade parts manufacturers - Sanwa. 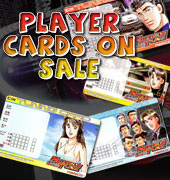 Sanwa OBSC-24 button is widely used for Start buttons in Japanese cabinets like Blast City, Versus City, etc. It features a slightly convex plunger and snap-in installation (can be mounted in material with a thickness from 2 to 5 mm). It is smaller than the Sanwa OBSC-30 button, with an overall diameter of 28mm.